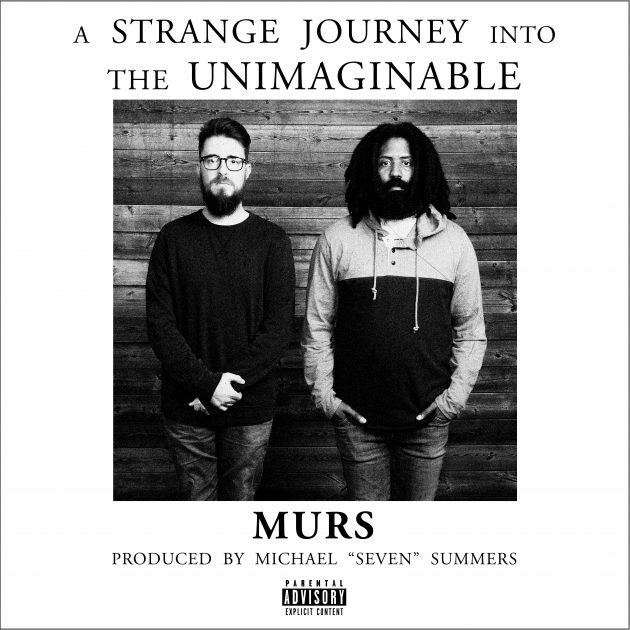 MURS – A STRANGE JOURNEY INTO THE UNIMAGINABLE – Pre-Order Now Available! To celebrate his birthday, the incomparable MURS is set to drop his latest Strange Music album, A STRANGE JOURNEY INTO THE UNIMAGINABLE, on March 16th! With stellar production by Michael “Seven” Summers, MURS brings personally introspective and socially conscious lyricism to the fold while still maintaining his unique sense of humor, creating an album that’s truly one of a kind. Here’s your chance to pre-order your copy of MURS’ A STRANGE JOURNEY INTO THE UNIMAGINABLE – featuring the singles “G Lollipops”, “Powerful” and “Melancholy”. Pre-order your copy now at strangemusicinc.net – you’ll get a signed copy of A STRANGE JOURNEY INTO THE UNIMAGINABLE, a limited edition A STRANGE JOURNEY INTO THE UNIMAGINABLE t-shirt (XL only), a Strange Music sticker and an exclusive mp3 download track, “Let It Burn”! 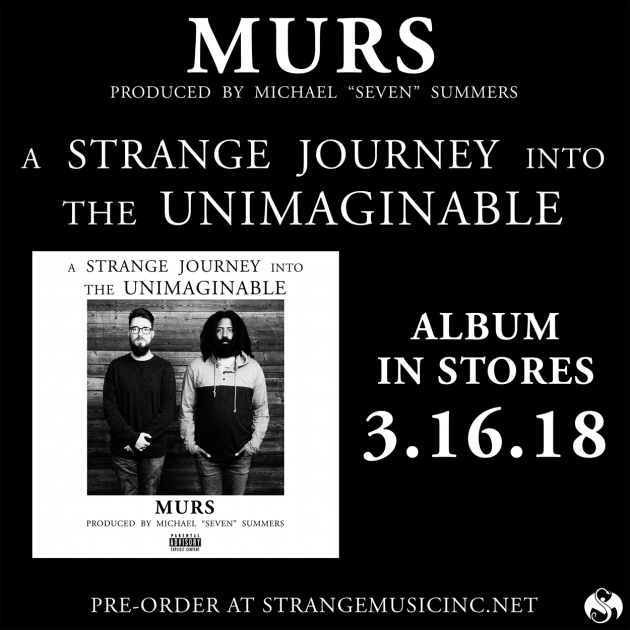 Don’t miss your chance – head over to strangemusicinc.net and pre-order your copy of MURS’ newest album, A STRANGE JOURNEY INTO THE UNIMAGINABLE!